D.R. Carmichael, PhD, CPA, CFE, (Lumberton, PA) is professor of accounting at Baruch College in the City of New York.? Carmichael held the distinguished position, Chief Auditor and Director of Professional Standards of the Private Company Accounting Oversight Board (PCAOB). 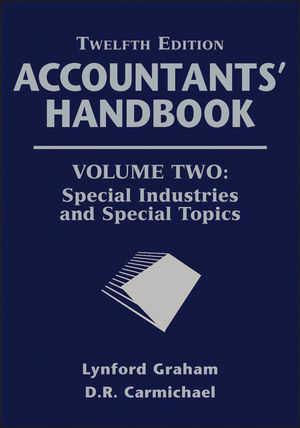 He is the author of numerous books and articles on accounting and auditing. Most prominent among his consulting clients were the Securities and Exchange Commission, the Government Accountability Office, the Federal Deposit Insurance Corporation. George I. Victor, CPA Giambalvo, Stalzer & Company, CPAs, P.C. Mark L. Zyla, CPA/ABV, CFA, ASA Acuitas, Inc.
Ira G. Kawaller Kawaller & Co.
Lawrence F. Ranallo, CPA PricewaterhouseCoopers LLP Keith R. Ugone, PhD Analysis Group, Inc.